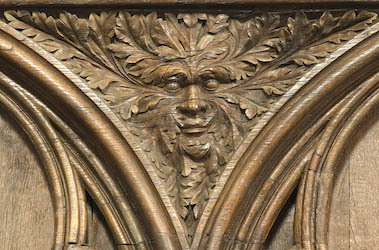 It is a man’s face, with oak leaves growing from the mouth and ears, and completely encircling the head. 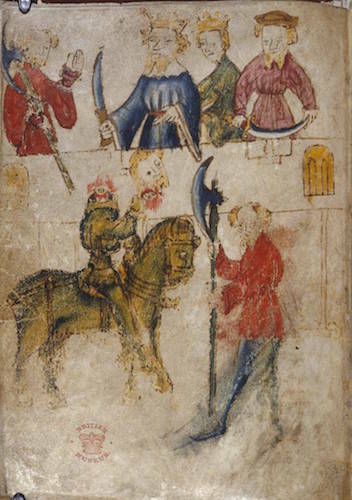 Mr. Griffith suggested that it was intended to symbolize the spirit of inspiration, but it seemed to me certain that it was a man and not a spirit, and moreover that it was a ‘Green Man.’ —Lady Raglan. 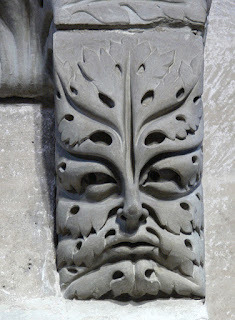 “The Green Man in Church Architecture.” Folklore . Vol. 50 no. 1 (1939): 45–47. 45. 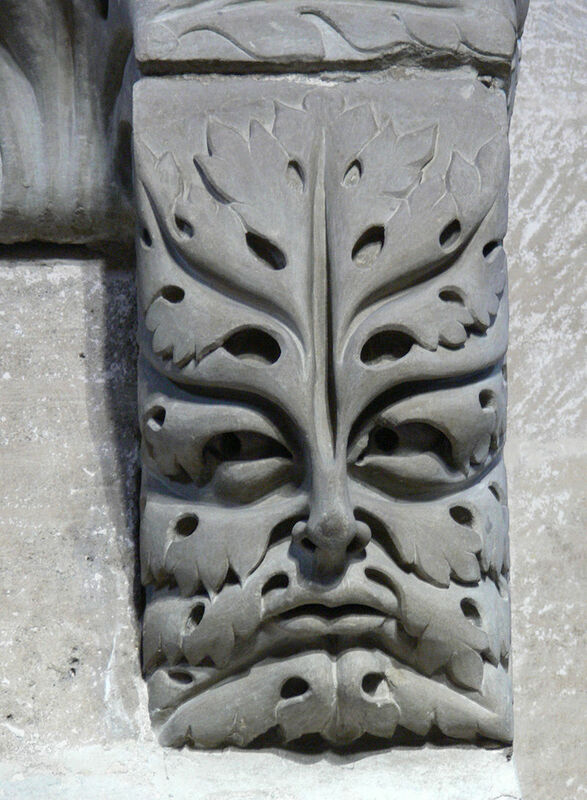 Depending on how you look at this corbel supporting a foliated ledge under a statue of a horse and rider, the eyes appear to follow you.